The web can blend into any background effortlessly with its black colouring and allows for trouble-free installation. Contents of each kit; 10 x (1m x 1m) Panels, 1 x Color Web Power Supply, 1 x Spider (5 Way), 3 x 1m Extn, 2 x 2m Extn, 1 x 4m Extn, 8 x Hangers. 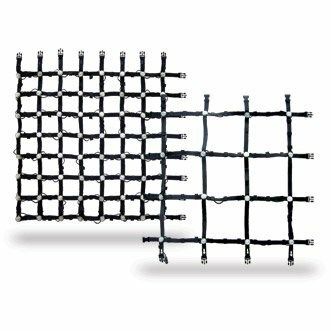 1m x 1m black Color Web panels that clip together easily and securely on all 4 sides. Panels can be fitted together for a maximum of 10m drop but they can be connected over distances and the 80% transparent webbing surface area allows it to be multi-layered and double hung. Can be connected over distances with interlinking cables. 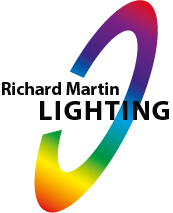 Programmable through any DMX control device with each LED cell using 3 DMX channels. An IP Rating of 65 allows the webbing to be used as an exterior lighting effect as well as interior.